CBS Interactive is launching an online feature that allows groups of viewers to collectively watch and interact with streaming TV content. Dubbed "social viewing rooms," the service combines elements of a chat room, video conferencing and standard live streaming to give fans a more communal experience when watching the network's content online. "In the past when you watch videos online and it's a very isolating experience," said Anthony Soohoo, senior vp and GM of CBS Interactive. "This takes people 3,000 miles away and makes them feel like they're sitting on the couch next to each other. The social viewing room is a next-generation social media platform that lets users engage with each other and the content they are watching in a fun new way." 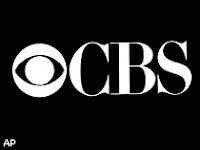 On CBS.com, a group of friends will be able to join a virtual room to watch a synchronized playback of popular programs while chatting, taking polls, quizzes and even throwing such animated objects as tomatoes and kisses at the screen. The company is rolling out the service for select CBS primetime and daytime shows starting Wednesday. Intel has signed as the exclusive sponsor of the launch. CBS Interactive hopes to eventually expand social viewing rooms to such other CBS Corp. properties as the CW and Showtime.